Runs around the city, collecting candy and trick-or-treats! Wait, that's not how the song goes. But, it is pretty close to what your kid is going to be up to this Halloween. That's because they've picked out a Spider-Man Costume for Halloween, and they're ready to make the trick-or-treat rounds! Of course, the costume fits just right, but you want to make sure every detail is just right. He might need a toy web-slinger or a mask (we've got those items if you need them!) but there's one thing we're absolutely sure he'll need to walk the neighborhood. He's going to need a trick-or-treat bucket! This Spider-Man Plastic Trick or Treat Bucket is Marvel Comics officially licensed. 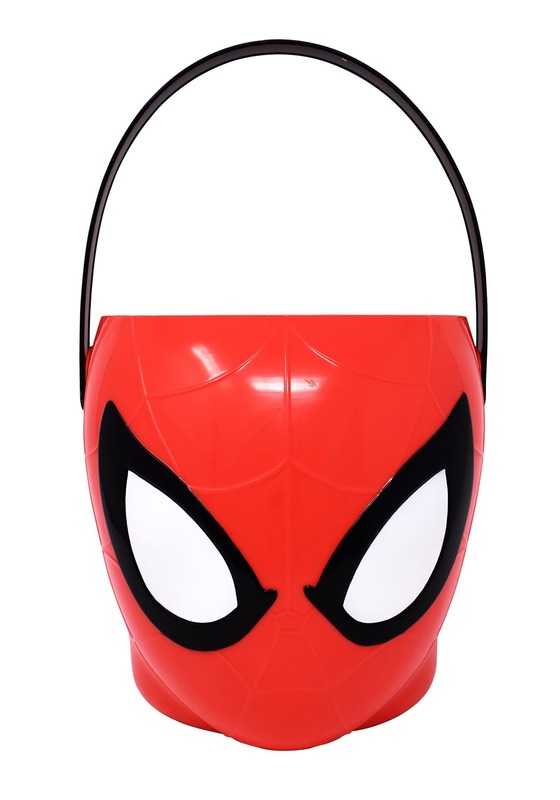 It's made of molded plastic, shaped in the style of Spiderman's head. Sans the top, of course, so you can fit candy inside! It measures about 8 inches tall, and is sure to be the perfect way to complete any kiddo's comic book theme!